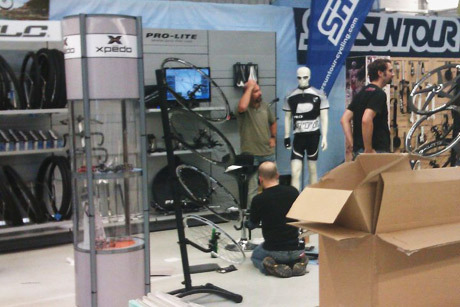 With the amazing support from Winora Group assisting us as representatives at Eurobike, we were very excited to see the results of their hard work really come to fruition with their own Home Show. To those not familiar with this event, it is a dealer only event held in Hannover, Germany, where hundreds of industry people come together to see what things are being made available by the German business group. 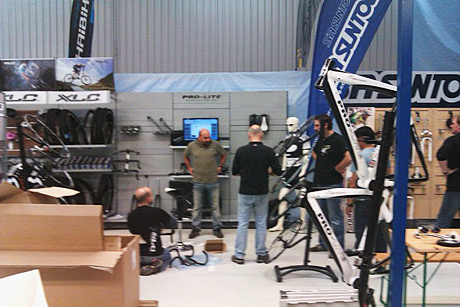 Many major brands are represented and Pro-Lite was on display as well. 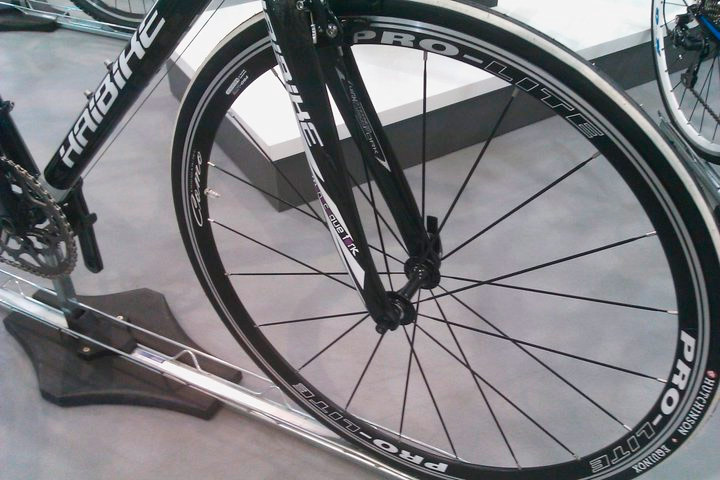 Winora manag es several of its own brands for complete bikes and Pro-Lite has a place as their supplier of Parts. Additionally, Pro-Lite wheels can be found on an increasing number of bikes in the Haibike brand, including their new Kid's Road bike. 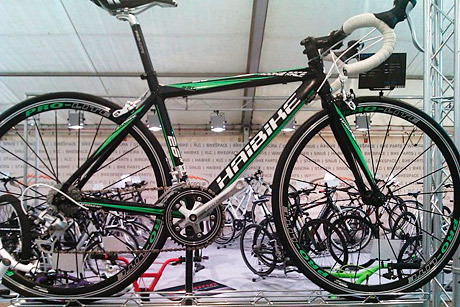 Like Pro-Lite's own Kid's Bike, the Haibike version sports hand-made wheels in just the right size for junior riders and at just the right price point for parents. 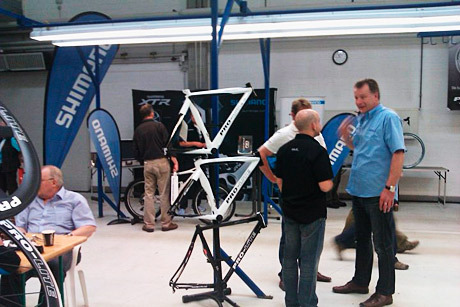 Also featured at the show was our "parts oriented" PowerPoint show which showcased some of our new product range, such as the new special purpose kid's bikes as well as highlighting some details of our manufacturing line at the largest 100% hand-built wheel factory in the world. Enjoy a sneak glimpse into the industry-restricted event!